Most landlords know they need to have landlord insurance on a rented property; however they should also require their tenants to have renters insurance. 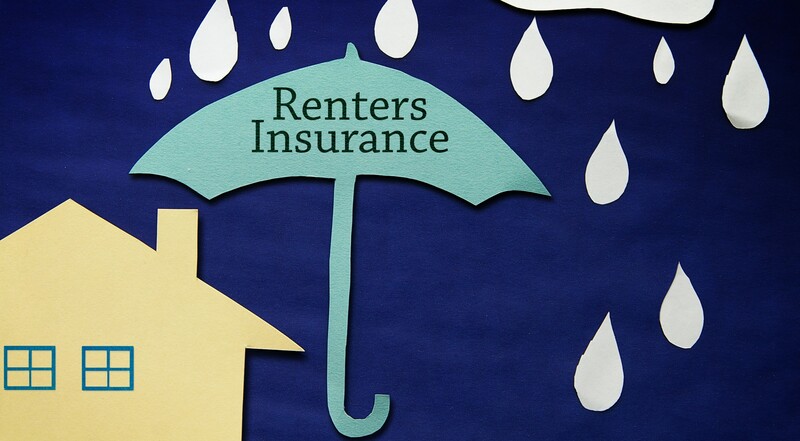 While renters insurance technically protects the renter, who is the named insured and considered the policyholder, it also can protect landlords in certain situations. If you’re a landlord in New Hampshire, here’s why you should consider adding this requirement to your lease. Beyond Having Their Own Landlord Insurance: What Insurance Should Every Landlord in NH Require Their Tenants to Carry? Landlords should require their tenants to carry renters insurance as it not only provides protection for the tenant, it may also provide some protection for the landlord. Protection for the landlord from the tenant’s renters policy in New Hampshire may apply if the tenant causes unintentional property damage to the rental. Coverage for the landlord may extend from the tenant's liability coverage in certain situations. An example may be if the tenant caused a fire that destroyed or damaged the property. The landlord would suddenly have to repair or rebuild the building, as well as recoup from lost rent given tenants won't pay rent for a property they can't occupy. The tenant who started the fire may be responsible in this situation, which is why their renter's policy may provide payment. If the landlord themselves or the landlord's insurance company sues the tenant for the cost of rebuilding the damaged property as well as the loss of rental income, they may be able to collect from the tenant's liability coverage. A landlord could also sue the tenant regardless of whether they had renters insurance; however, it would most likely be difficult to collect payment if the damages were extensive. Assuming the tenant does not have a lot of assets, even a successful lawsuit would likely leave the landlord with little compensation. Please be aware however that a renter's policy would not compensate a landlord for intentional damage caused by a tenant including vandalism. A similar situation normally plays out if a tenant is found responsible for injuring someone in a covered incident. You might not be the person receiving the compensation in this kind of scenario, but you’ll likely still benefit. To illustrate this, assume a tenant's new puppy bites a guest during a backyard BBQ. If the injury isn’t fully covered by the guest’s health insurance, the guest might sue for medical expenses, pain and suffering and lost income. Even if you’re not the primary party responsible, there’s a good chance you’ll be sued because you have assets and most likely insurance on the rental property. If you’re the only party with insurance, there’s a good chance that you’ll either be involved in an expensive legal battle and/or forced to pay a settlement. If your tenant also has insurance, the tenant’s renters policy will probably act as a first line of defense. You might still be sued, which is one reason why you should have rental property insurance, but the suit could settle without dragging you and your insurance company into the issue. In most cases, requiring renters to secure insurance with at least $500,000 of liability coverage is wise. It is also suggested that you request a copy of the policy annually to verify coverage remains in place as any policy can cancel at any time for nonpayment. Of course, you can also further reduce your risk exposure by prohibiting space heaters, dogs, trampolines and similar potentially hazardous things on your property. To check your landlord insurance policy and/or learn more about tenants’ insurance for renters, contact the insurance professionals at HPM insurance. Our agents have worked with many landlords in New Hampshire, and we’d be happy to help you with our expertise on rental property insurance.